Chocolate Cake Recipe from scratch | BEST homemade chocolate cake! You are here: Home / Recipes / Desserts / Cakes & Cupcakes / the best Homemade Chocolate Cake you’ll ever have!! This is the best chocolate cake recipe. In the history of best. And chocolate. And cake. 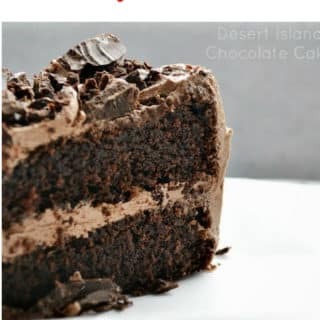 This is an easy chocolate cake recipe from scratch to make and the homemade frosting and cake combo is the best it gets. The baked cake is a fantastic texture and not overly sweet like cake sometimes is. And that frosting? You’ll be eating it with a spoon. Creamy, chocolatey, and smooth. There isn’t a better homemade cake recipe than this chocolate cake with the frosting. Really, truly, pinky swear! There is nothing better to do on a Saturday afternoon than gather the kids in the kitchen with crayons, aprons, and music…and bake a cake! Dancing and baking and sneaking tastes is as much a part of childhood as candy, movies, and hugs. Maybe you’re a believer in good, fast, and consistent recipes. Make it, eat it, enjoy it…move on. Maybe you’re also a GIANT fan of knowing what ingredients are in the food you feed your family. Both of those are crazy great reasons to make a chocolate cake from scratch! Instead of using flour for your cake pans…use cocoa. I KNOW, totally cool. ;)) and too much flour will get a cracked top. 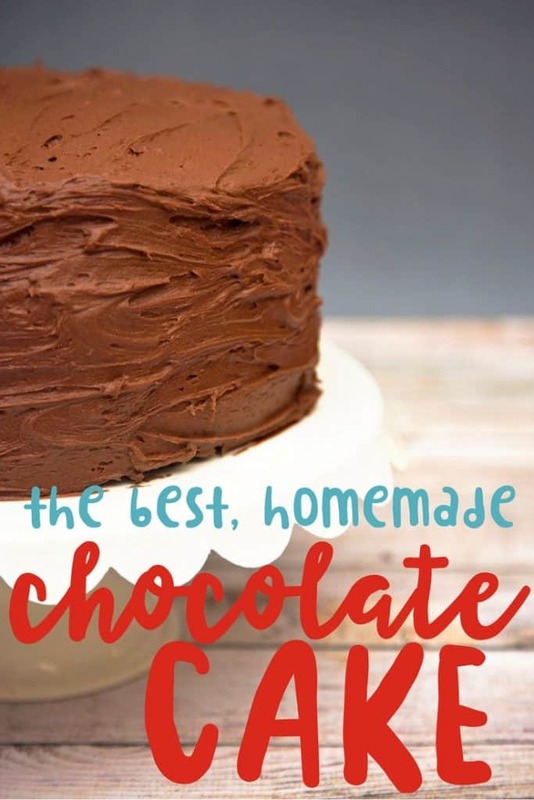 This homemade chocolate cake recipe may not make it in the world of professional cake guru’s (Although, if you read the comments, there is totally a girl selling cupcakes using this recipe!). But, it WILL make you a super-hero in the world of those you love. They will adore you. Bow at your feet adore! And, making cake for our families is what it is really about anyways. This homemade chocolate cake recipe is not overly sweet. It is a perfect match for the sweet, smooth chocolate frosting. This specific cake and frosting combo is what works. Maybe it’s the “from scratch” part that makes it? 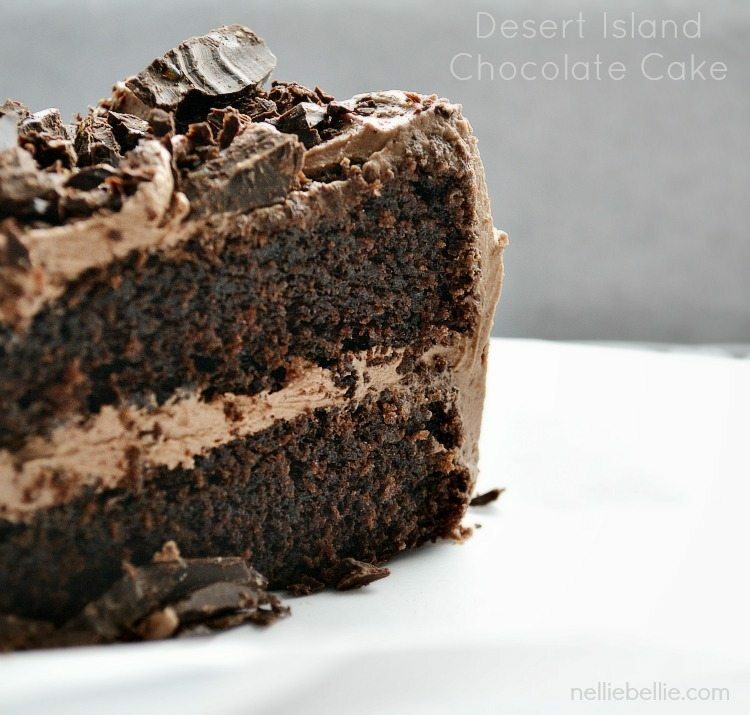 Moist chocolate cake and sweet frosting layers. Chocolate and smooth. They just go together. the end. We have another name for this chocolate frosting (yes, we totally name our fave recipes! )… cracker dip. Because we make up a batch and serve it with graham crackers for dipping ;). <— totally true! Should I use sifted flour and then measure or measure and then sift? It depends on how the recipe reads. If it reads 1 cup SIFTED flour than you sift and measure. If sifted isn’t even mentioned then you measure and sift. This recipe…skip the sifting if you want. We won’t tell. Can I convert a white cake into chocolate? Now that is just plain rude to ask that question on a chocolate cake recipe! 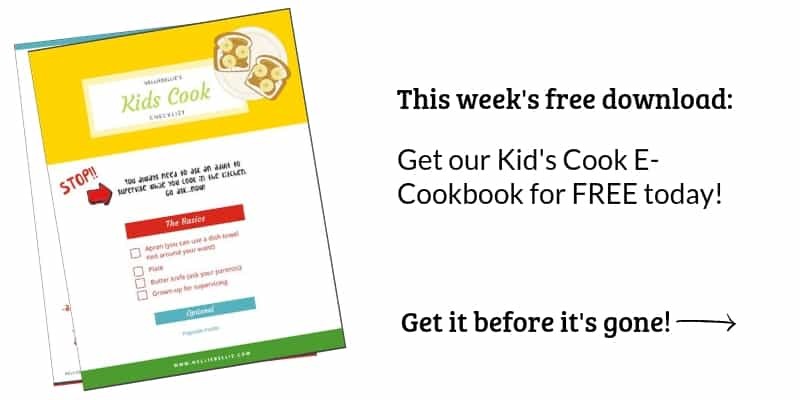 It makes us think that you aren’t going to use this recipe. Which, you should. But the answer is… yes. But it isn’t terribly simple. We have instructions and info HERE. Do you have a slow cooker chocolate cake you would recommend? Well sure. Our favorite is our Chocolate Stout Cake. Yum!! Or a very simple and wildly successful one to try is: 1 box of chocolate cake mix prepared (not baked) and poured into a sprayed slow-cooker. 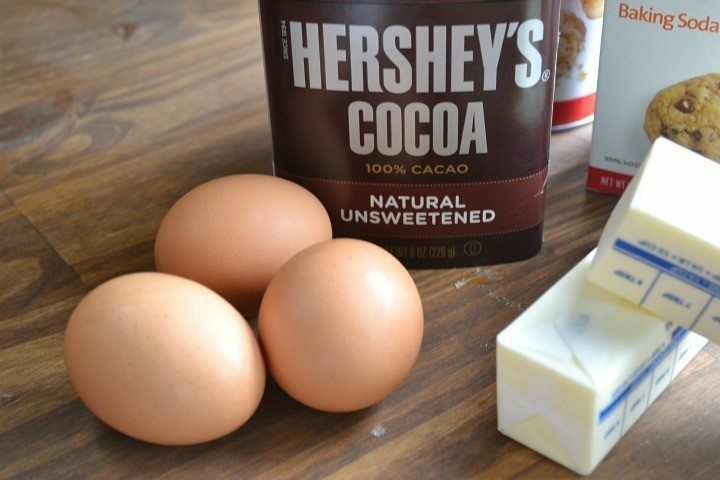 Whip up a small box of no-cook chocolate pudding and pour it into the center of the chocolate cake mix before it sets. Top the whole thing with 4 oz of chocolate chips. Cook for 3-4 hours or until the edges are bubbly. Seriously guys…easy peasy and sooooo delicious! Our reader Molly says she has made this several times and gets 24 cupcakes. 2 c. all-purpose flour We love Bob’s Red Mill for great quality! grease bottom and sides of pan (I use 2 round pans or 1 9 by 13). preheat oven to 350 degrees. I would even suggest lining the bottom with parchment paper and then spraying. Combine cocoa, baking soda, baking powder, and salt. Set aside. In a separate bowl beat butter for 30 seconds or so. slowly add sugar. Add eggs 1 at a time beating after each one. Beat in vanilla. Add dry ingredients beating after each addition. Add 1/2 of the milk, beat. Then add the other 1/2. Beat just until everything is combined nicely. Bake for 30-35 minutes for round pans, 5 min longer or so for the 9 by 13 pan. Watch it though! a knife coming out clean from the center means it is done. NOTE: Many readers are finding they need to increase the baking time. This is probably due to the difference in ovens, pans, and elevation. Always go by the way the cake looks and if the cake is done in the center. Another method of mixing this cake that works better for some is simply mixing the dry ingredients and the wet in separate bowls and stirring them gently together. There has been a common problem with the cake falling in the center and being undercooked. This is because it is removed too soon. Be sure that the cake is dry on the edges, and that that a knife comes out clean when inserted into the center. If you remove it too soon, even if it looks done, it will fall (all cakes will!). AN easy, deliciously creamy chocolate frosting that you will make again and again! bit of milk if you find this stiff. NOTE: this frosting is my go-to all the time frosting recipe. So glad!! And thank you for coming back and leaving a review. I appreciate that! This recipe has been made hundreds of times by many readers which alot of success. I think you’ll be great! And what a wonderful gift. So sweet! I’m a bit late to the party with this recipe but, is it possible to add a filling to this cake? Like a raspberry filling between the two layers? Of course!! And it would be absolutely delicious! I’m sorry to hear that! The dryness is often from over-baking. But maybe this isn’t the recipe for you. But so glad you enjoyed baking it!! That’s a win ;). Thought I’d comment and say this is the best recipe!!! Has been my go to cake recipe. Living in England as an American, I was frustrated with the lack of options of box cake mixes, and they weren’t that good. This cake is amazing and not that much more work making it from scratch. Been using this recipe a few years now and writing on here bc I was looking up the recipe to make it again tonight. Just thought I’d share and say thanks!!! Icing is also amazing and my go to any time chocolate frosting is needed. Thank you so much for coming back and saying that. I appreciate you taking the time and it is kind of fun to know that it’s being made across the world :)> So fun! !